Seasonal Outdoor Pools open this weekend - Aquamoves – Indoor and outdoor pools, fitness facilities and programs in Shepparton, Victoria. With the weather warming up, the 2018-19 Greater Shepparton Outdoor Pool Season is about to kick off. The Tatura, Mooroopna and Merrigum pools will open on Saturday 17 November. Greater Shepparton City Council Manager Active Living David Booth said maintenance staff have been working hard over the winter months at the pools. “All the pools are looking great for another big outdoor pool season,” Mr Booth said. “Once again, the seasonal pools will be a great place to cool down and have some fun. “If you would like to get active at the pool this year, we will have a wide range of programs and activities just for you. “There will be lots happening over summer from giant inflatables and water games for the kids, through to aqua aerobics and early morning swimming for the big kids at heart. 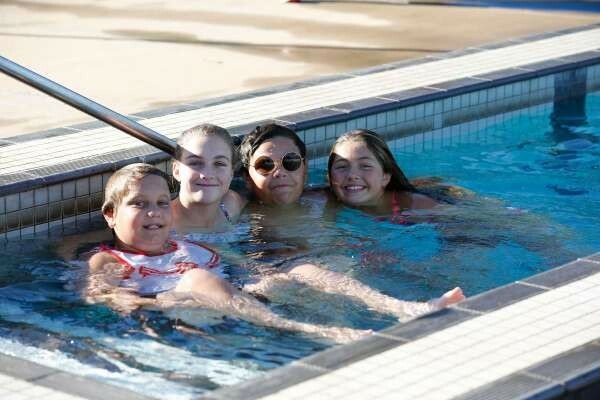 Don’t forget to get your seasonal pool membership passes which can be used at all three pools,” Mr Booth said. For a full list of programs and activities check out your local pool or the Get Mooving Greater Shepparton App. Pools will remain open until the third weekend in March, with the final day of the summer pool season being on Sunday 17 March. Tatura and Mooroopna Pools are opened from 12pm to 7pm daily. Merrigum Swimming Pool is opened Monday to Friday from 3.30pm to 7pm, and Saturday and Sunday 1pm to 7pm. Depending on weather conditions these times could charge. Extended operating hours will come into play from December 23.